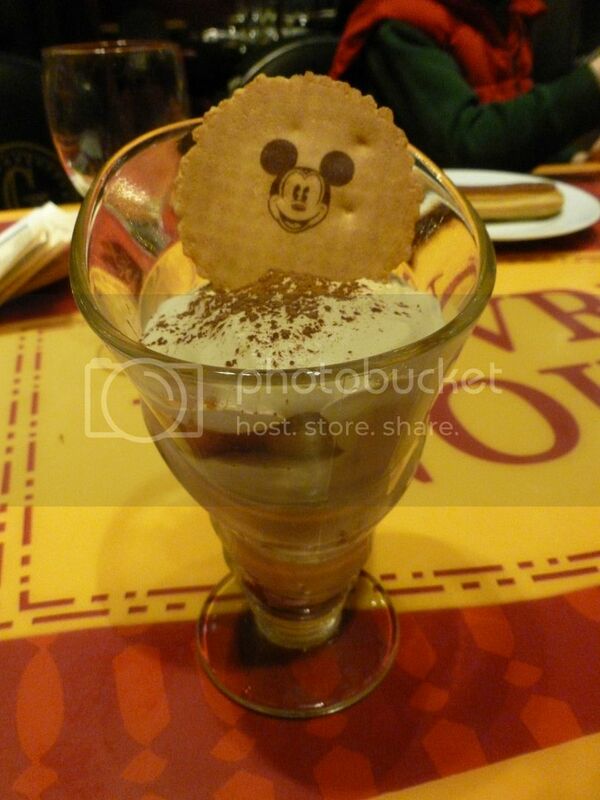 When booking for Disneyland Paris we purchased the halfboard plus meal plan. 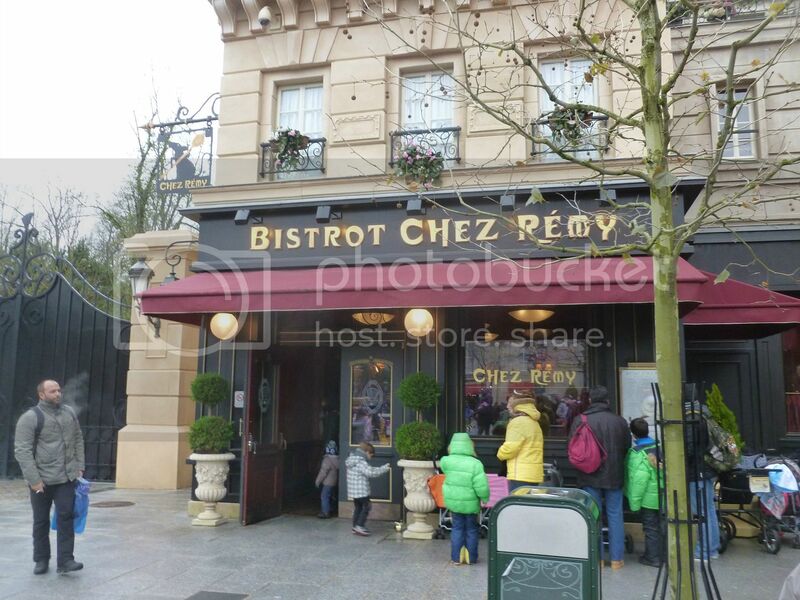 This allows you to eat at their newest restaurant Bistro Chez Remy. 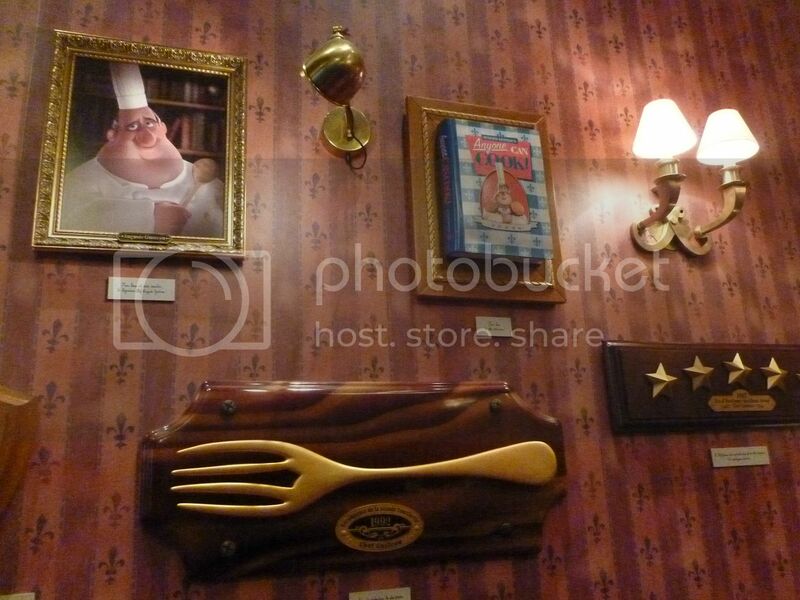 It is positioned in Walt disney Studios next to the new ratatouille ride.I was keen to go on the ride and was not disappointed at all. It exceeded my expectations and I have never seen anything quite like it. 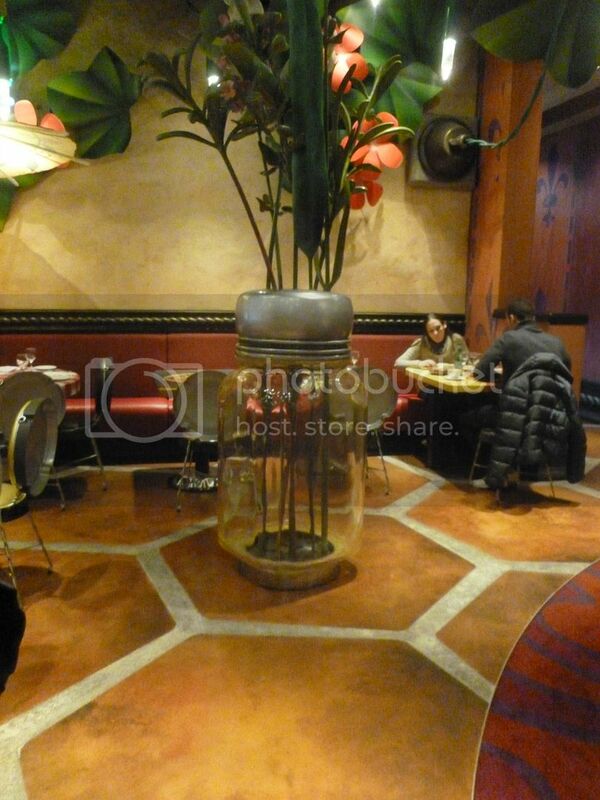 The restaurant then takes the experience further by shrinking you to the size of a rat. 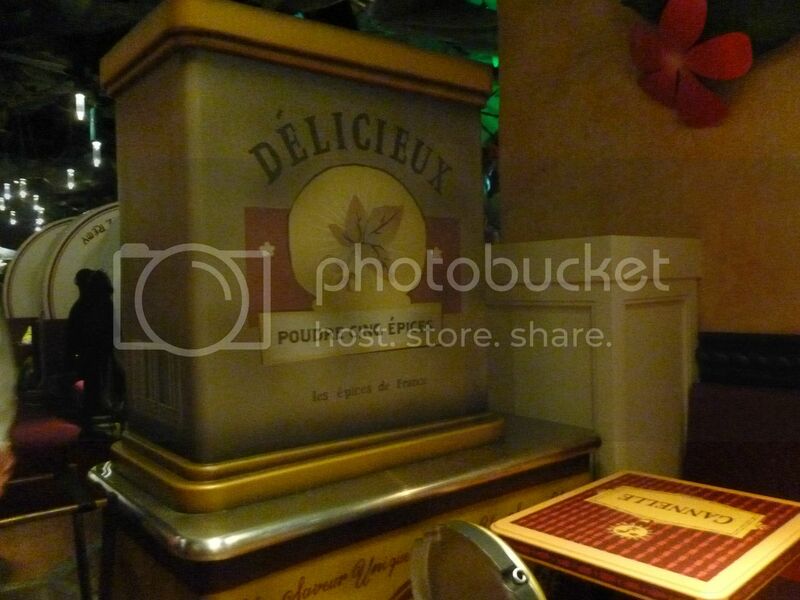 The theming is fantastic. 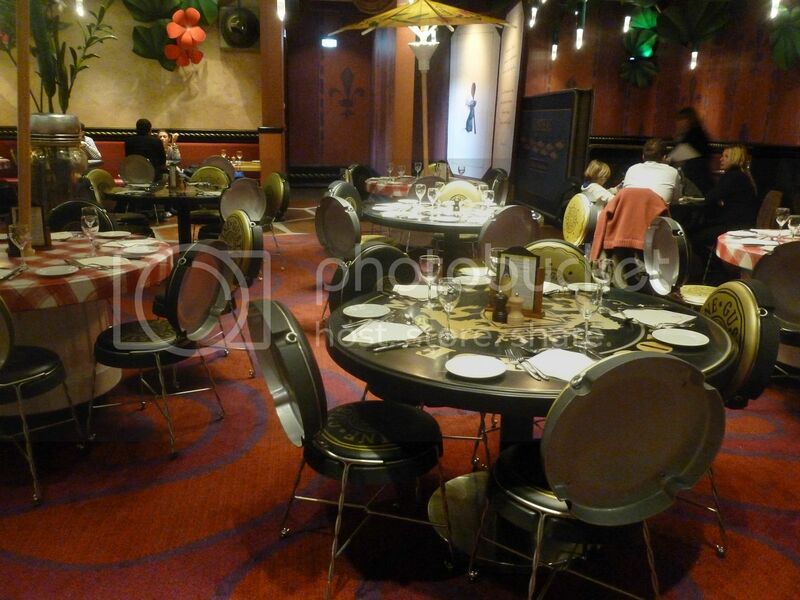 The reception is themed with Gustos book and cooking utensils that middle man got very excited about. 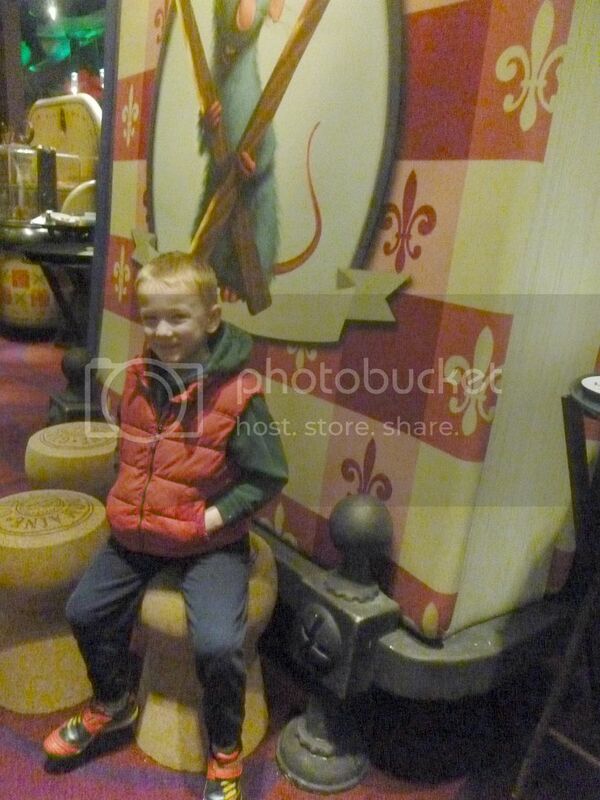 As you walk through to the restaurant you are told about how you are being shrunk to the size of a rat and the wallpaper design and flooring enlarges. You can spend ages looking at the detail. One thing to note is that this is a dining experience. If you want to have a quick bite to eat and then go round the park, this is not for you. It takes about 2 hours to eat a meal here. I would also recommend booking before you go as it was fully booked when we went. The Halfboard Plus option allows you to choose from the Emile menu. 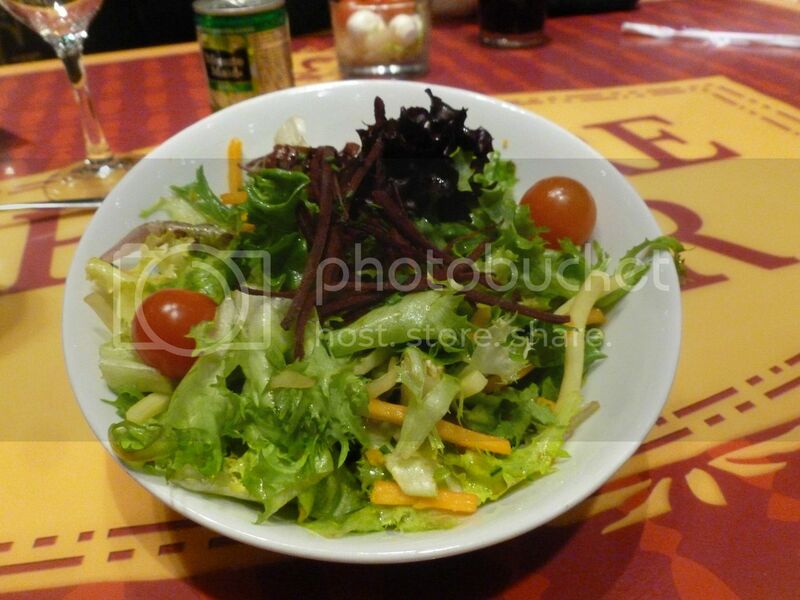 To start you have a salad. 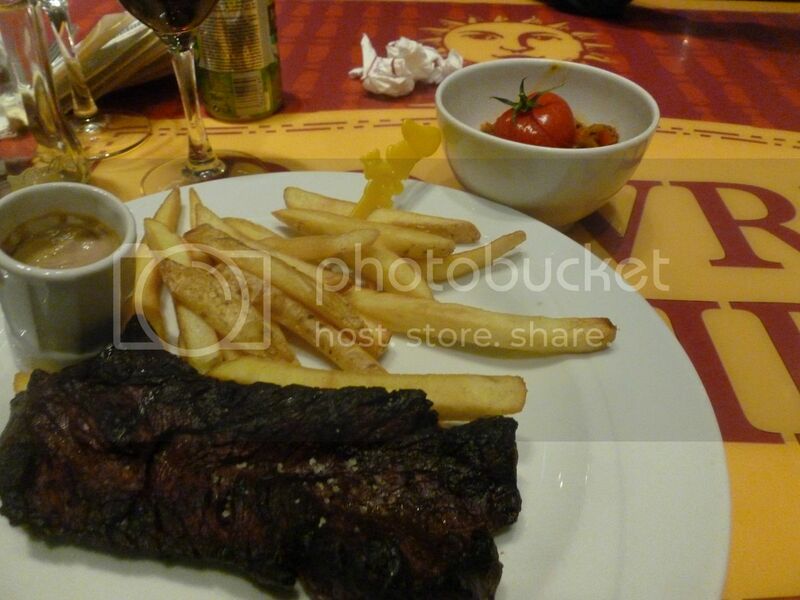 For my main I chose the steak and chips which came with ratatouille. For dessert I chose the Tiramasu. It was large and light and very tasty. The meal also comes with a choice of soft drink. The children's menu came with a starter of mozerella and cherry tomatoes. I thought this was lovely but my boys weren't keen as they aren't used to it. Big man had the meatball kebab (which is the nearest to a burger and chips) and the other two both had spaghetti. They were all pleased with dessert. 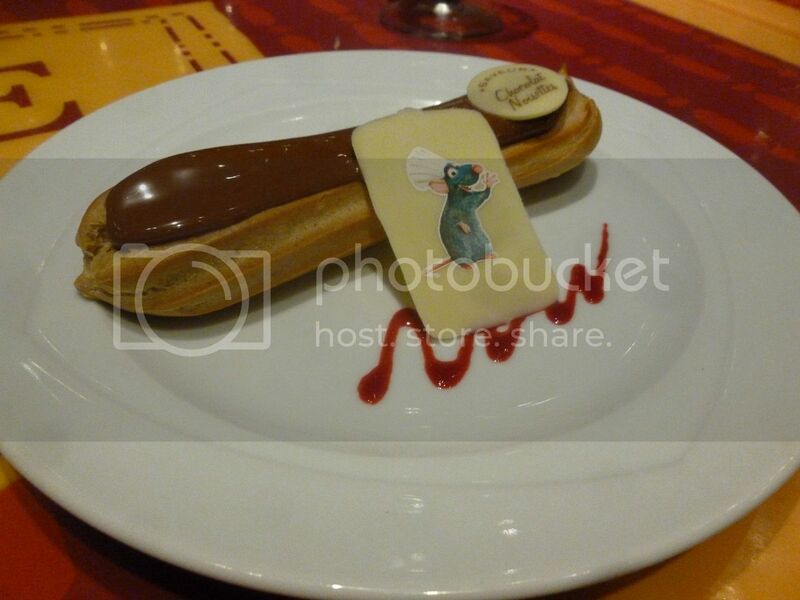 After having fromage blanc myself the night before (and not being impressed) I chose them the chocolate eclair. They scoffed these! All in all the food was good but the desserts were the best. The service was a little slow for my liking. The decor was enchanting and there was always something to look at, so I would recommend a visit if you are off to Disneyland Paris. It looks really good, a lot of fun, and that steak looks great. OH my that looks amazing, I really want to go there!! What an awesome place! I loved the movie so this really interests me. Thanks for sharing the post. Disneyland is the amazing place to explore for tourist and having many of the restaurants. Explore the Disneyland with the disneyland paris coach deals in the affordable price. Seems like you are having lot of of fun in Disneyland. Thinking to visit Disneyland Paris then, plan your trip with proper Disneyland Paris Travel Guide Uk at an affordable price.